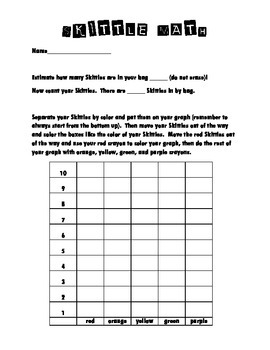 Students use an individual bag of Skittles (perfect around Halloween), to graph, discover if the color groups are odd or even, write number sentences, and find the least/most Skittle colors in their bag. 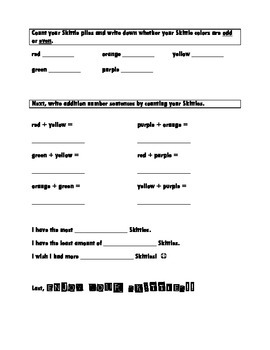 You can print this as 2 different worksheets, or have both copies side by side on one 11x17 sheet of paper. This project can be done whole group, or can easily split up into small group sections!